When appointments and reservations are at the heart of your business, a timely and accurate system to keep track of all the booking details is a necessity. Service oriented businesses that make their living providing a great customer experience around dates and times, rely on the ability to stay organized and on track. But managing customer reservations and bookings is a tedious and time-consuming proposition. Often traditional reservation or scheduling procedures fall short of customer and guest expectations. 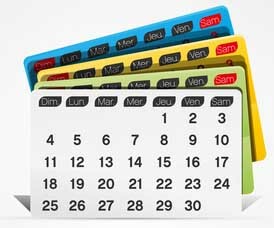 Online Reservation Calendars offer a cost-effective and easy-to-use method of automating the booking process. Cloud computing applications allow technology to be accessed with the help of any internet connection without installations, downloads, or costly hardware. Administrators can simplify the tasks of creating and managing their bookings and reservations. Guests and customers using an online reservation calendar love the benefit of a simple book-and-click system. Confirmations for appointments and reservations are emailed instantly to customers as soon as their booking is complete and paid for. Auto-emails include the name, contact number, email address of customer and details of their booking. The best advantage to Online Reservation Calendars is they operate 24/7 without supervision or maintenance. Reservations are taken and displayed in real time so double bookings never happen. So you’re sold on the idea of how an Online Reservation Calendar could help your business, but what do you look for? There are several must-haves that you want to identify before locking into a system. A cloud-based Online Reservation Calendar frees up valuable administrative time while giving owners the freedom of being able to log in and check on their calendar any time, from anywhere they can access the internet. These systems allow businesses to offer a higher level of customer service without having to devote more man-hours to manage it.